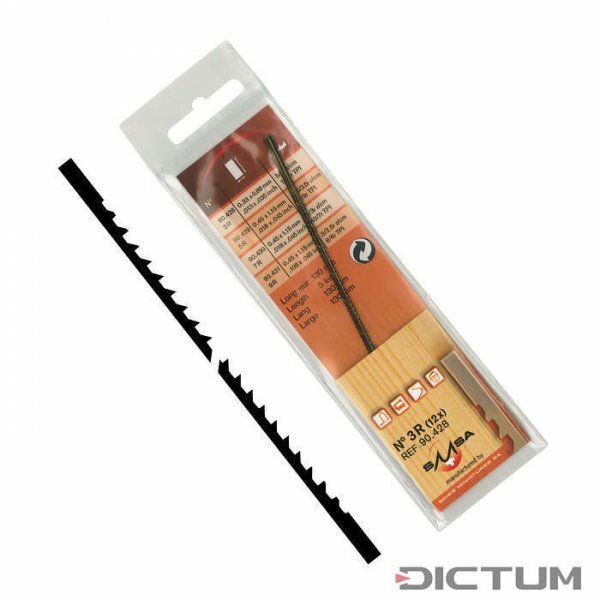 Universal reverse wide tooth coping saw blade to handle even complex shapes. The reverse teeth almost entirely prevent tear-outs on the underside. Outstanding results with all softwoods and panel materials. High-quality saw blades made in Switzerland.